This is one of the most beautiful and brilliant recordings of Wagner´s Tristan und Isolde and it´s first time available on DVD and Bluray. Leonard Bernstein’s way of conducting this opera is unique and he makes orchestra and singers perform at their very best. The Symphonieorchester des Bayerischen Rundfunks was the only German orchestra with which Leonard Bernstein regularly collaborated for many years and it has numbered among the top ten orchestras in the world. A star cast of singers with Peter Hofmann and Hildegard Behrens in the title roles, completes this exceptional semi-staged production. 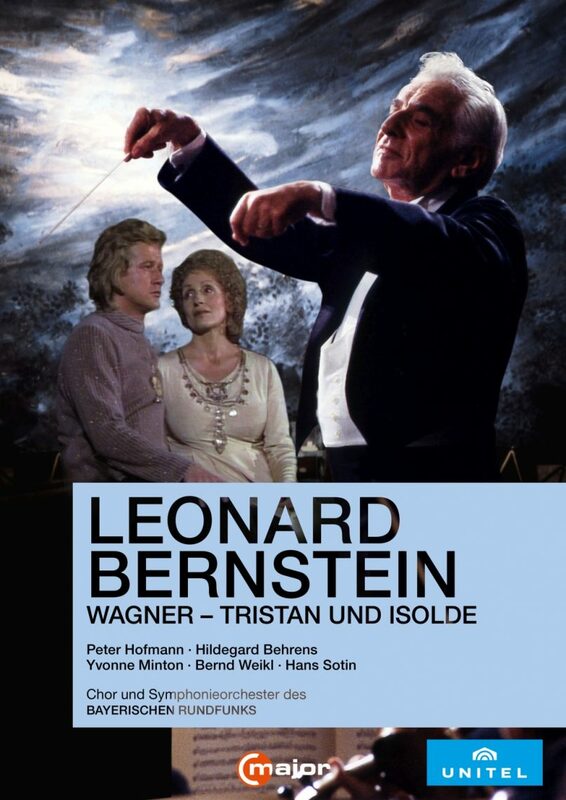 Bernstein’s 1981 recording of Wagner’s Tristan und Isolde is still considered an outstanding interpretation and has set the bar until this day. When he heard this performance Karl Böhm said, “Bernstein has conducted Tristan und Isolde the way that Wagner intended it to be conducted”.